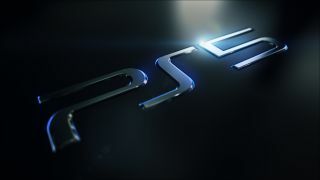 More possible news has surfaced about the super secret development of the PS5, Sony's next-gen follow up console to the hugely successful PS4, and this latest rumour is one of the most exciting things we've heard yet. As first spotted by hokanko-alt, Sony recently registered a patent with the Japan Patent Office to protect a new method that lets its devices determine whether an application is a legacy application or not. In technical jargon, "legacy applications" usually refer to those programs that were previously designed for older hardware, and this patent describes a CPU identification algorithm that essentially allows legacy software to run on Sony's newer devices. So far, this could relate to anything under Sony's repertoire of products in the tech industry - phones, smart fridges, you name it - but the crucial detail that associates it with the PS5 is the person who's credited in the patent with designing the method itself: Mark Cerny. Cerny, as many will know, is the lead architect of the PS4, and rumoured to be heavily involved with the development of its successor. The mention of his name here suggests that Cerny hasn't just been working on the PS5, but has even come up with a formula for the console to play PS4 games (and perhaps even older titles) via backwards compatibility. This will come as comforting news to PlayStation fans, who have been missing out on true backwards compatibility since the days of PlayStation 3, while Sony's competitor - Microsoft - has been killing it with a robust backwards compatibility program for the Xbox One and Xbox One X. Make sure you don't miss out on the best PS4 games of all time before Sony inevitably releases its follow up in the near future.